This week Awesome Stories brings you kindness elves, town spirit, dedication, love, hemp progress, magic words and dancing dads. 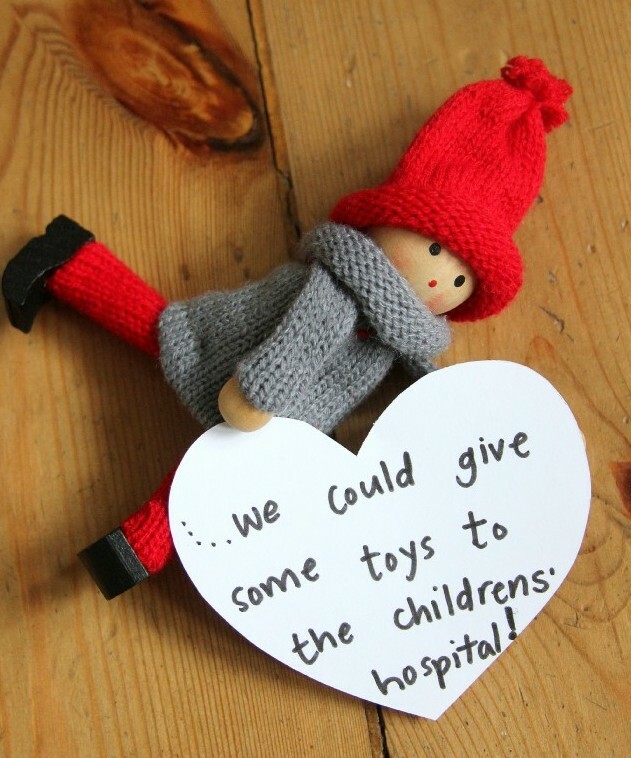 I love this idea, and the elves are adorable! And more importantly, Anna (from the Imagination Tree) offers a great way to turn the elf sensation into a creative, caring game to teach kids the value of kindness. She created the idea of kindness elves last year as a way to engage kids and teach them values using positive reinforcement. Anna turns the elf fad on its head by focusing on fun, kindness and positive reinforcement using notes before to encourage and after to reward the behaviors. You can tell that she is a parent and teacher! I love how this town supported local small business owner Avi Gandhi, who runs a convenience store in Levittown, NY. He is so dedicated to his customers that he works 12 hours a day, 7 days a week, even when his wife was sick. His caring nature has built strong relationships with his customers. When they learned that he might lose the lease on the store, they decided to hold a Cashmob to show him how much they appreciate him. Watch the video for the rest of this touching story. This is a tough story to read, yet inspiring for this father’s dedication to his daughter. Even while fighting his own cancer, Tom Attwater is focused on raising £500,000 for his daughter’s cancer treatment. 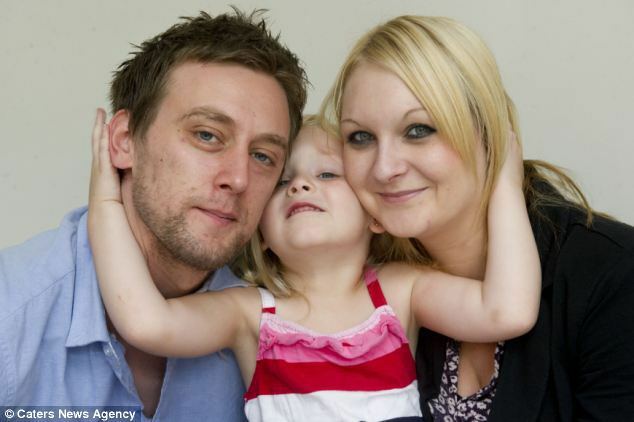 Tom’s brain tumour is incurable, but his daughter Kelli, has beaten her cancer twice. Since it’s likely she’ll need more treatment, Tom is focused on raising money for treatment. He has written a touching letter to his daughter, filled with fatherly love and advice. This spring a farm bill was introduced that defines hemp as an industrial crop, finally making it legal to grow hemp in the US, after nearly 60 years of banishment. Legal, at least from a national standpoint for research. Now states are starting to follow suit with bills that would broaden the scope of growing hemp. The US will need to play catch up with countries like Canada, China and Europe in cultivating hemp for farming and industrial use. As I’ve written many times, hemp has amazing uses from food to building material, medicine, clothing, plastics, paper and soil remediation. Go Hemp! Arun Dada and Mira Ba live their faith in a dramatic way. This story tells how they turned around an antagonistic relationship with the power of kindness and compassion. After buying their home, they were having trouble with a rowdy neighbor. Even after being physically and verbally attacked, Arun offered nothing but kindness to his neighbor. Arun persisted, and approached his neighbor with the idea that they greet each other with “Jai Shree Krishna” whenever they passed one another. The neighbor accepted the offer and they began exchanging this blessing whenever they saw each other. Nine years later, the relationship has blossomed. Jai Shree Krishna is a phrase to praise Lord Krishna, show respect, and witness the divine in each other. Here’s a short fun video to get your holiday season rolling. Love these posts! I’ve enjoyed them greatly in my inbox over the last few months. Thank you for making me smile! You are most welcome Cynthia. Nice to see you back in the WP scene. Congrats and Happy Holidays! Wow, the father’s letter to his daughter was touching ~ heartbreaking, yet also so beautiful…and awesome. Thanks for bring this to us…wish you a great Christmas week. Thanks Randall. I was moved by his letter too. It must have been very hard to write. May your holidays be filled with beauty and grace. What a beautiful post, inspiring in the whirlygig of media stories out there at the moment. Thank you for the moment of sanctuary. And you, Brad 🙂 Thank you for being a part of the ripples of goodness and happiness that serve the world so very well. My pleasure Robert. 🙂 I’m glad the stories touched you and we could share some blessings, challenges and laughs in life. The Town Spirit inspires.. and This is how true community spirit should work.. Again loved your awesomeness Brad… Wishing you a Wonderful Christmas.. Agreed Sue. It would be great to have that kind of town support in all our communities. I do see that in this area. I like the sound of “my awesomeness.” XD Thanks Sue. You’re welcome Dani. He’s very easy to like with his warm, kind and humble manner. Love ALL, as always, Brad! But Tom’s letter to his daughter Kelli rendered me a puddle…Every child should be so fortunate as to have such a loving father. His advice is a great guideline for everyone, quite frankly! Thanks for sharing. Now, I must go chill some teabags for my puffy eyes. 😉 Christmas love & hugs to you! Just call me the puddle maker. XD Tom’s letter got me too and I agree about his good tips for living. Wow, reading Tom’s letter to his daughter really helped to put things in perspective. If we all had the wisdom to look at and appreciate things around us in the here and now, I daresay that the world would be a much different place – for the better. Thank you for sharing Brad – although it was difficult to read, it was inspiring at the same time. Luckily, the final video helped to put a lighter spin on things 🙂 Although, I now see that I have a lot of work to earn any additional cool dad points 😉 Happy holidays to you and your family!